Dr. Mark Weinberg can create the smile you've always wanted, with aesthetic orthodontics for adults. Maybe you've always wanted straighter teeth, but never got braces, or your teeth have moved over the years. Whatever the reason, a less than ideal smile can make you feel self-conscious and hold you back in your personal and professional life. Dr. Weinberg has years of experience helping adults get excellent results from orthodontic treatment. Invisalign, the removable, nearly invisible way to straighten teeth. Dr. Weinberg is a certified Premier Invisalign provider, meaning Invisalign has recognized him for his exceptional experience with this orthodontic treatment. 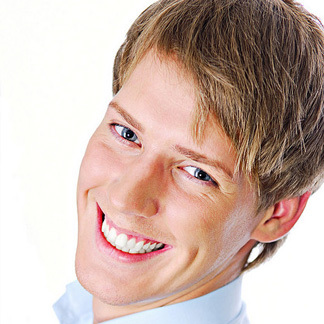 Ceramic braces—strong, tooth-colored braces that blend in with your natural teeth. Attention to detail and artistry, for a smile precisely designed to complement your features, with natural looking results that are perfect for you. Additional information on adult orthodontics. With our great payment plans for braces and Dr. Weinberg's experienced care, you may be pleasantly surprised at how easy and affordable orthodontics can be. Schedule a consultation with Dr. Weinberg today to find out what he can do for you.